I love bikes, in any and all forms. For me it is as simple as that. I've built my life around cycling, and to have it be my livelihood is a privilege. At this point I've worked with a wide range of athletes from people chasing a PR in their local century, to MTB racers, to WTS triathletes and World Tour Road Racers. I love it all. I am a USAC Level 1 certified coach. 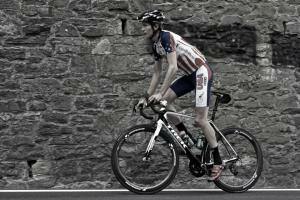 I grew up racing on the road as a junior, and came through the ranks as an under-23. I spent much of my u23 career racing in Europe with the USA Cycling National Development program, while pursuing a degree in Integrated Physiology at the University of Colorado, which I completed December 2014. As a coach I've had the fortune to collaborate with and consult for the USA U23 National Team. I've worked in both a performance optimization role, working on the gritty details from nutrition to aerodynamics. Additionally I've had the chance to apply my real world racing experience, as the Sport Director and Head Coach for the USA U23 National Team in 2017 and 2018. I really enjoy working with a wide array of athletes. Through the different athletes I've worked with, from road to mountain bike and triathlon, and through my own racing pursuits, if there has one thing I've concluded it is that there is no formula. Everyone is different, and needs a slightly different approach from the person lining up to them. I only accept athletes that are willing to accept criticism and be open to changing habits. Success. Coach Nate Wilson has been notified of your message. To hire Nate Wilson as your coach, select the coaching service that is right for you.